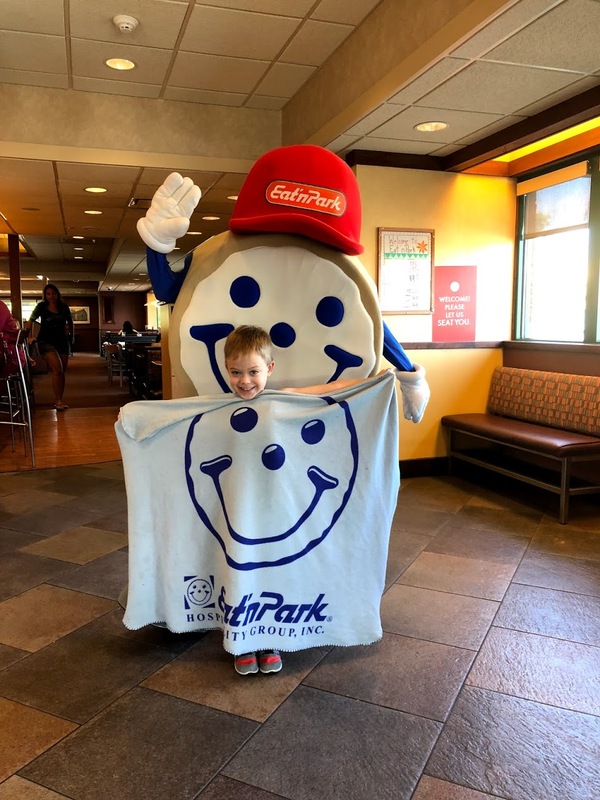 There are just a few weeks left of Smiley’s Summer Road Trip, where Smiley is on a mission to visit all 68 Eat’n Park restaurants in one summer! Smiley has been busy stamping his biggest fans’ passports and making many new friends. Throughout the summer, Smiley’s friends have been sharing their most prized possessions with him. This has turned into a show and tell of sorts! Check out these awesome kids showing off their favorite things (and best smiles). If you want to meet Smiley and show him your favorite item be sure to check out www.findsmiley.com to see where we’ll will be next! You can also follow all of our adventures on Twitter and Instagram by following us @EnPTeamSmiley!